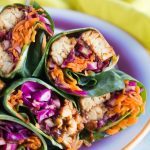 These amazing Vegan Lunch Ideas are sponsored by Thrive Market, my favorite website for purchasing non-perishable groceries and household goods. You can shop for thousands of the best-selling organic foods and natural products at 25-50% below traditional retail prices. Use my link to get 25% off your first purchase on Thrive. It’s that time of year once again. Time to go back to school, and get back to work. Summer is over! I used to dread summer’s end, but as I get older I’ve come to appreciate the cooler temperatures and changing leaves more and more. I especially love this time of year because it represents a chance to start anew. I like to take a look at all the aspects of my life, including my diet, and recharge any goals I have before the end of the year. Now is a great time to start something new, or improve upon something old. One way I like to refresh my diet is by bringing new life to my meal plan. I’m a creature of habit, and can find myself eating the same thing week after week for months before getting utterly bored. Can you relate? 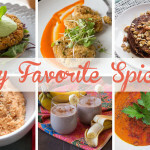 The end of summer is a great time to find a few new vegan lunch ideas. 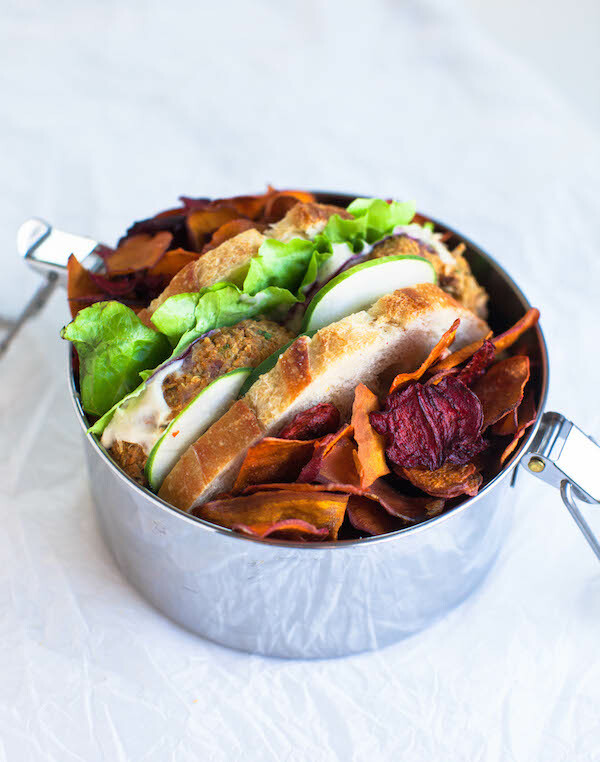 Lately I’ve really been digging the three recipes in this post: BBQ Jackfruit Bowl, hearty Zucchini Quinoa Burgers, and Beet & Sweet Potato Chips. They’re all easy to make, and pack up like a charm. One way I’ve been refreshing my life this whole year has been to use as few disposable and non-compostable products as possible. For the last 5 or so years I have been composting all of our food scraps, and now that we live in Los Angeles and have our own compost bin, we’ve started composting all of our paper products as well. It’s so satisfying to watch scraps break down and turn to nutrient dense compost that we can use to nurture the soil and grow more plants. It’s a simple process, but it helps us keep hundreds of pounds of waste out of methane leaking landfills each year. By the way, most of the packaging materials from Thrive Market are compostable. Why can’t all online stores be like that? Another great way to keep trash out of the landfill is to use reusable baggies, containers, and wraps for your food. I ordered an assortment of reusable plastic baggies from Thrive Market that I can use for packing up sandwiches and snacks, and I ordered a few larger ones for keeping food in the freezer. They’re just as convenient as the plastic bags we’re all used to, but far more eco-friendly. You can wash and reuse them for years and years without fear that they’ll fall apart or leach nasty chemicals into your food. On Thrive Market I also ordered a 2-tier stainless steel tiffin carrier, which is the ultimate in eco-friendly reusable lunch containers. In America you might be one of the only people at school or the office with one of these lunch carriers, but tiffins are the norm in South Asia. They aren’t microwavable, but can keep your meal warm for hours. I love how seamlessly they snap together, and the handle on top makes them so easy to carry. Don’t miss the video below to see how I used all of my new eco-friendly containers from Thrive for these delicious vegan lunch ideas! Click here to get 25% off your first purchase on Thrive. 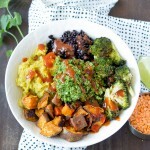 When it comes to vegan lunch ideas you cannot go wrong with a balanced bowl. Prepare the ingredients on an off-day, and throw them together to make a balanced lunch any day of the week. Jackfruit has a texture similar to shredded chicken, and absorbs the flavor of whatever you cook it in. The one downside of jackfruit is that it is very low in calories and protein. If you want a bulkier more calorie rich meal, swap out the jackfruit for tempeh or tofu. Cooking instructions are pretty much the same! Place the jackfruit and BBQ sauce in a sauce pan over medium heat. Stir well, cover, and cook for 20 minutes. While the jackfruit cooks you can steam or sauté the kale and corn. To steam the kale I placed a mesh strainer over the jackfruit and steamed it for 5 minutes while the jackfruit cooked below. Toss the sweet potatoes with oil, then spread evenly onto a baking sheet. Bake for 40-45 minutes, or until they're tender. 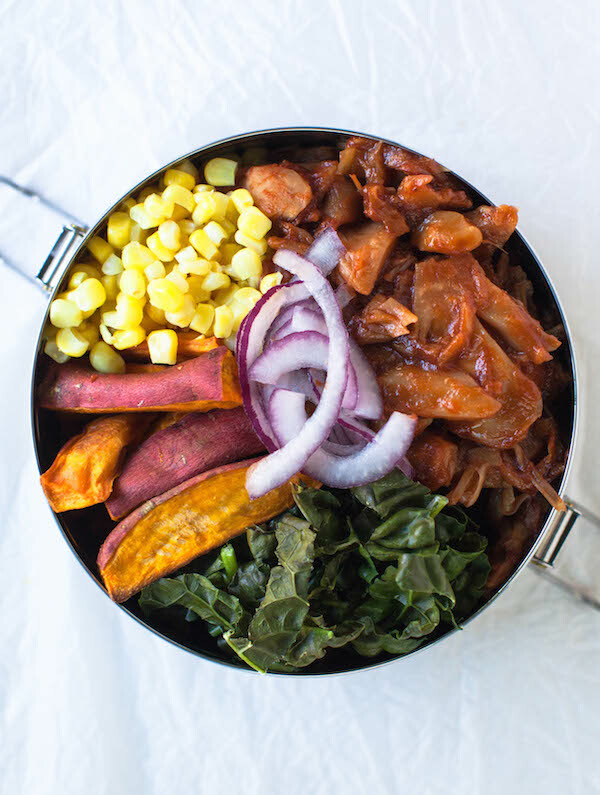 To assemble the bowl simply fill your tiffin carrier, bowl, or lunch container with a quarter of the BBQ jackfruit, kale, corn, brown rice, and sweet potatoes. Top with some thinly sliced red onion if you'd like. 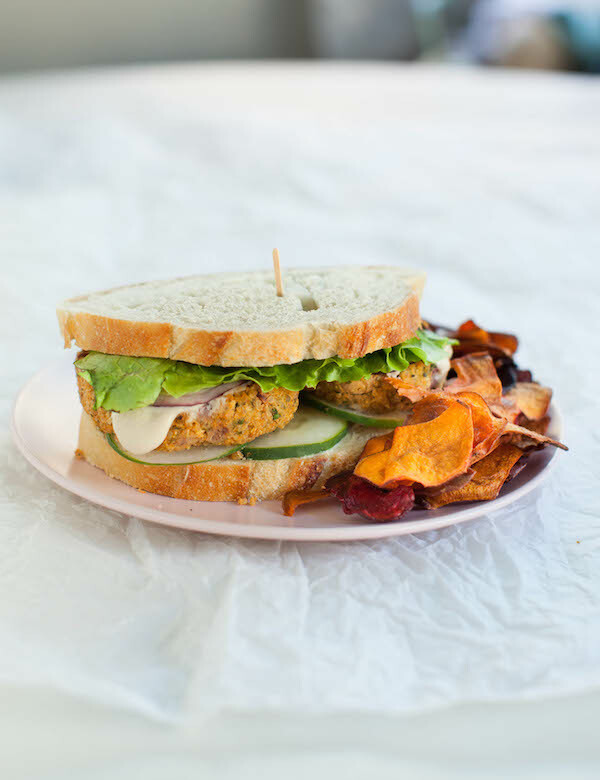 toppings: tomato, cucumber, lettuce, burger or sandwich bread, red onion, and tahini dressing (recipe here). Warm the oil in a large frying pan or skillet over medium heat. Add the garlic and onions, and sauté until onions are translucent and tender. Add the zucchini and continue to cook until tender, about 8 minutes. Remove from the heat. In a food processor grind the toasted paprika, pumpkin seeds, salt, and pepper until you have a grainy mixture. Add the cannellini beans, quinoa, mustard, lemon juice, and parsley to the food processor, and pulse to blend with the seed mixture. Blend until you have a thick paste. Pour the mixture into the pan with the cooked zucchini, and stir well. Allow the entire batter to cool completely. Once cool you can form it into patties. Form the batter into 8-12 burger patties. Bake the burgers at 375° for 35 minutes (flipping halfway through), or pan fry on each side for 5 minutes. Served burgers between burger or sandwich bread and topped with tahini dressing, sliced red onion, sliced tomato, sliced cucumber, and lettuce. Everyone loves snacks, right? Well, I sure do. 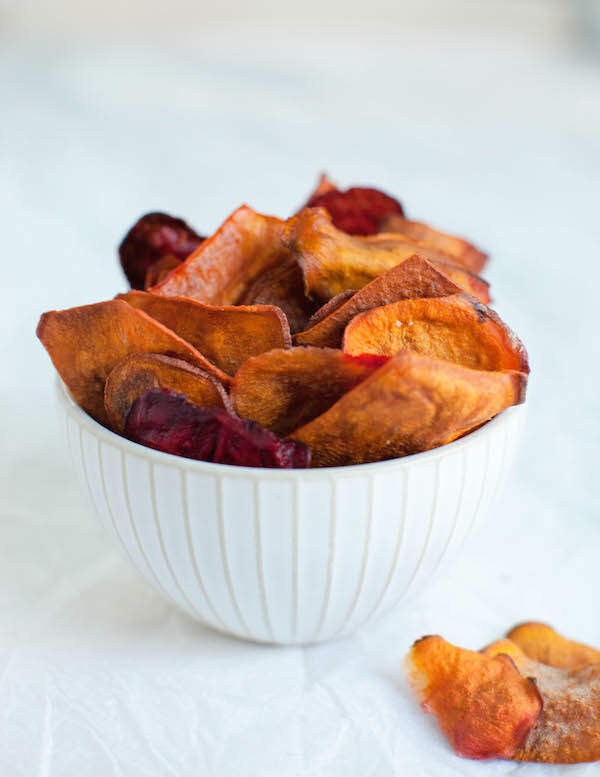 Especially crunchy and slightly sweet snacks like these Baked Beet & Sweet Potato Chips. Make them at home, rather than buying them at the store. You'll save money, and homemade chips are so much healthier! For best results cut the sweet potato and beets with a mandolin. Make sure to let the veggies sit in the oil and salt before placing on a baking sheet. This will help them release their liquid so they can crisp up even better. Thinly slice the sweet potatoes and beets into rounds using a mandolin. Place in a large mixing bowl, and coat in oil and salt. Toss and set aside for 20 minutes. Preheat the oven to 300°, and line at least 2 baking sheets with a silicon mat. Remove the veggies from the bowl, and lay them evenly onto the baking sheet. It's okay if they overlap a bit. Bake for 45-60 minutes until crispy. Remove from oven and allow them to cool completely before eating. As they cool they will crisp up even more! Store in a reusable plastic bag or air-tight container for 3-5 days.